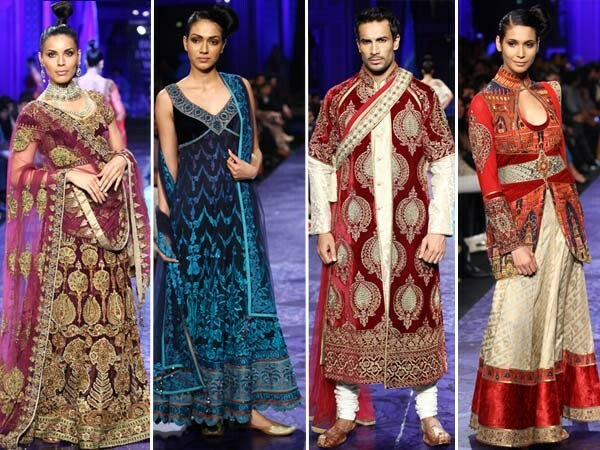 A peek into India's top fashion designers and their innovative styles of fusion designing. 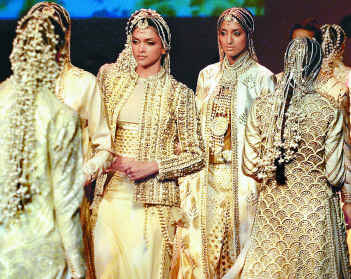 Rohit Bal – He is titled as India’s master of Fabric in fantasy by the Time magazine in 1996. Bal’s sense of aesthetics has finally honed in each one of his creations handcrafted to perfection, with meticulous attention to detail. He has access to the best industry has to offer in terms of materials and workmanship. From villages where local craftsmen weave dreams with magic fingers to factories, workshops and outlets where he tailors to the oppuluent grandieur of glitzy boutiques. In 1990 he created his first line, traditional wear for Men and the rest in history. Some of his clients include celebrities like Uma Thurman, Cindy Crawford, Pamela Anderson, Naomi Campbell and Ana Kournikova. 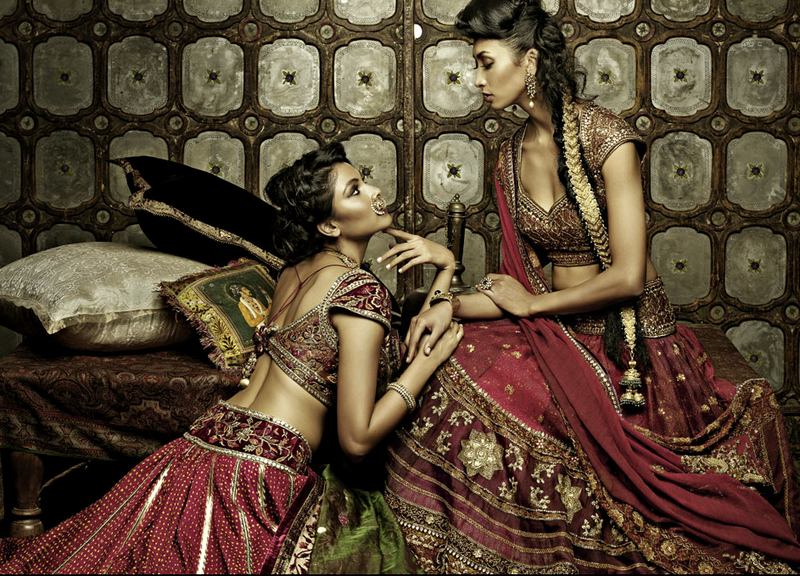 Trendy woven collection by Rohit Bal. An extraordinary piece of art in gold and maroon. Abu Jani & Sandeep Khosla – The two big boys of fashion industry 🙂 their collection speaks attitude and talent. They push Ethnic fashion to the limits almost to the dictates of their fantasy. No wonder they claim they do not make garments but make heirlooms. JJ Valaya – hailing from jodhpur, he is one of the most original and inspired designers working today. The revolutionary fusion of traditional crafts and contemporary haute couture generates an alluring one of kind hand work of Valaya. He has rejuvenated and redefined the age old indian crafts as a profitable niche within the cosmopolitan market allowing the valued artistic possesses to live on despite the pressures of globalization. House of Valaya continues to wow fashion with his ground breaking styles including majestic era of royal India will continue to rein well into the present.